Monica Beets is a sweet and innocent looking , but physically very tough , Gold miner and a TV reality Star who has become a household name now, since she started appearing in the Discovery Channel’s reality TV show , Gold Rush . Her personal net worth as of 2016 is estimated at $ 1 Million Dollars . But there are some things about her life which you shall find fascinating . Let’s dig into the Life of this gold digger . Monica Beets was born on November 7th, 1993, in Canada . But she takes the Dawson City in the Yukon as her hometown on account of deep affiliation she has with this place . Her Father Tony Beets is a seasoned Gold miner . He took his daughter , Monica to the gold mines , once she was hardly twelve years old . Since then , Monica has been an active member of her father’s gold-digging team . By the time she was 16 , she became a full-time worker alongside his dad and became adept at all the intricacies of the gold digging . You would be surprised that this tough girl became a supervisor at the age of eighteen . Wow ! Gold Rush’s was debuted back in 2010 . Its first episode was shown in December of 2010 . The Show basically started in Alaska , and it was called “Gold Rush : Alaska ” . Then the name of the show kept on changing every season , depending on the location where it was recorded . The consequent seasons took place in the legendary Klondike region of Yukon, Canada. Gold Rush is an unscripted reality TV series broadcast . The focus of the show is about the lives of gold miners in the Yukon Territory in Canada. The Season 7 was debuted on October 14, 2016. In the show , Several teams of gold miners search for gold at several different locations with varying degrees of success. The Miners are a mix of experienced and inexperienced Miners . Amongst the experienced ones are Todd Hoffman, son of a gold miner who was inspired by his father’s bold undertakings in the 1980s, 94-year-old mine-owner John Schnabel, another mine-owner, Tony Beet ( Monica Beet’s Dad) . 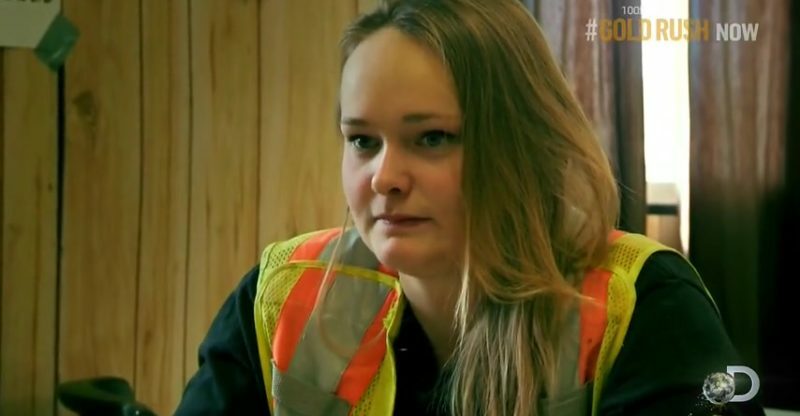 Amongst the greenhorns who are still learning the tricks of the gold mining trade are Chris Doumitt, Michael Halstead, Dave Turin and Jim Thurber.Monica became a part of this show only in season 2 . Monica is shown in the show bossing around men who are perhaps twice or thrice her age , sometimes . She actually has the advantage of being much more energetic and experience , a rare combination . It is said that Parker Schnabel , a 17 years old gold miner , from the famous Schnabel family had a crush on this blonde bombshell . But things stayed more as a one-sided Love . Monica , is also working part time to become a Primary Care Medic . This girl is young , tough , talented and has a very bright career ahead . How Much is Kourtney Kardashian Worth ?